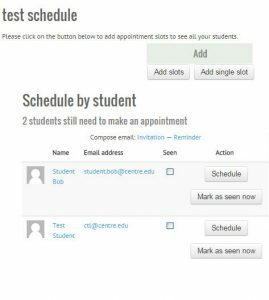 The Moodle Scheduler module helps you to schedule one-on-one appointments with your students. You specify the time slots and length of each slot. Students will then book themselves into one of the available time slots. 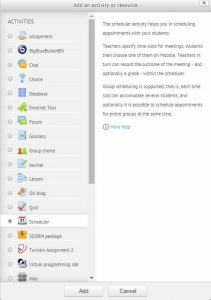 This is a great way to allow students to schedule office hours or other meeting times. 1. 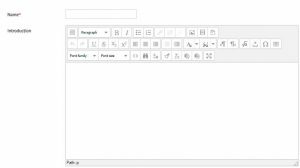 Log in and go to your course; click Turn editing on in the upper right corner of the screen. 2. 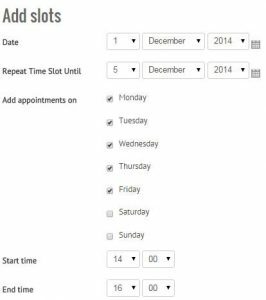 Click one of the Add an activity or resource drop down menus and click Scheduler. 3. Type a name for the Scheduled event, and an Introduction if so desired. 4. 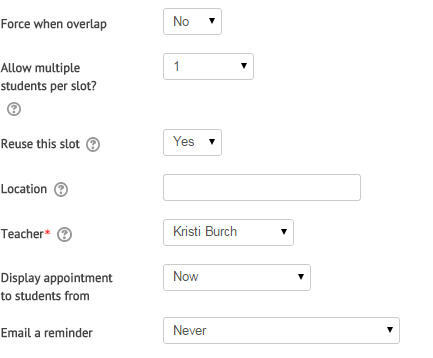 From the drop-down menu for Mode, select how students will schedule an appointment. 5. 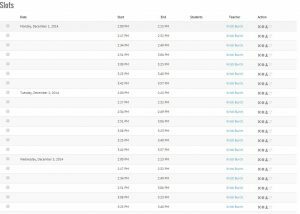 Type in a default slot duration. 6. 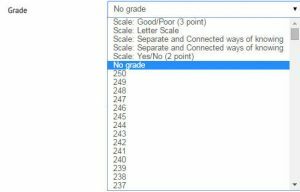 You have the option of setting a grade for the scheduled meeting. You might choose to do this if the meeting is a required part of participation. 7. 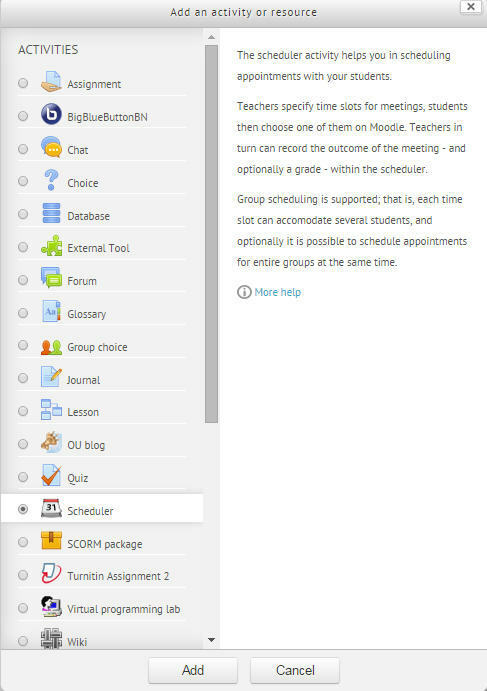 Select from the drop-down menu whether you want to enable notifications for both the student and you. “Yes” will send an email when moving, removing, or adding an appointment. 8. 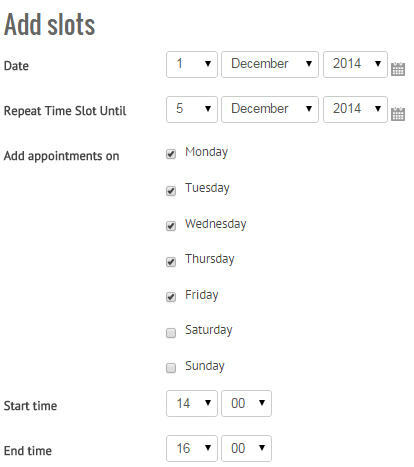 When finished, click Save and display to see the scheduler panel. 3. 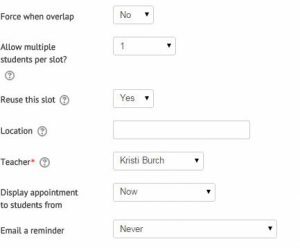 Next, you’ll want to set the Divide into slots to Yes and set your Duration and Break between slots. 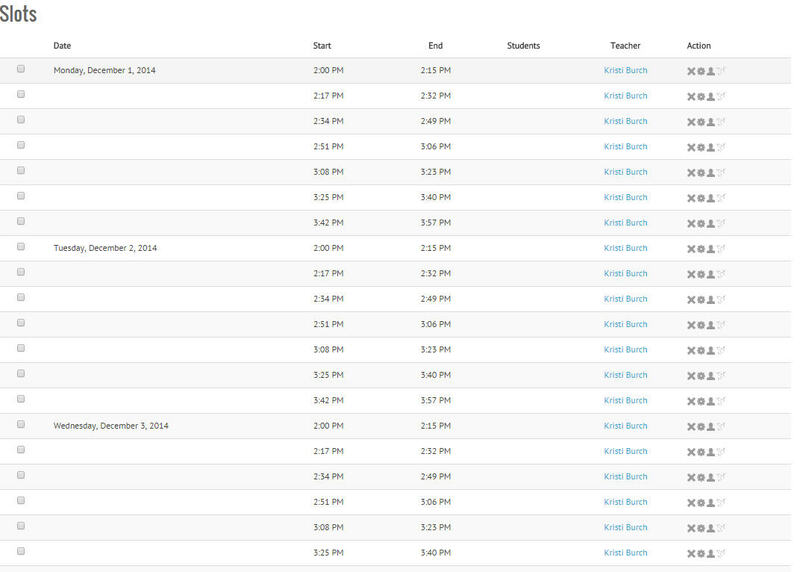 Also, make sure your name is listed under the Teacher category. 5. 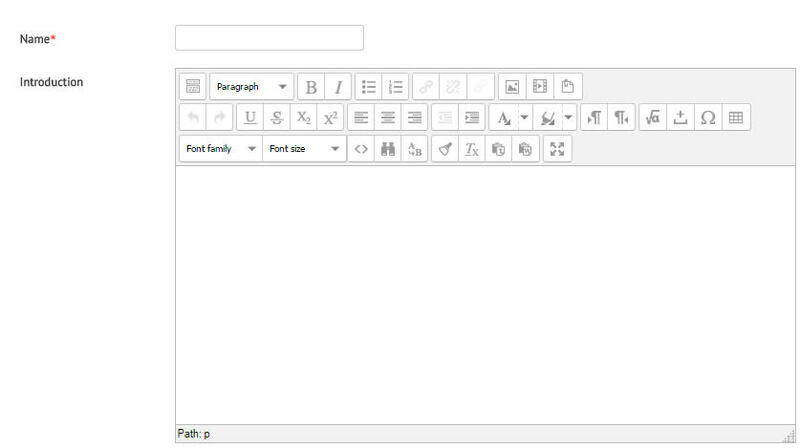 When you are finished, click Save changes. 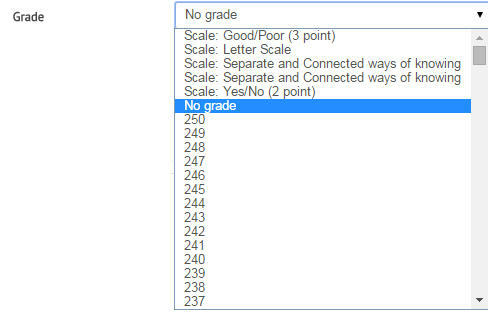 This is what will be shown to students based on your settings.